Here at the Nerd Nest, we’re big on nerd pride. We live in a world where it’s cool to be smart, and we want a space in that world where others can share their nerdy interests with you too. 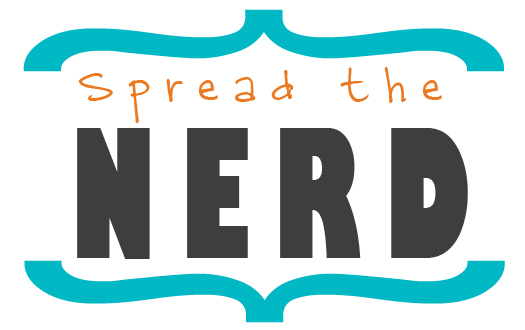 Welcome to Spred the Nerd, a guest series where awesome nerds like us tell you about their nerdy area of interest and teach you a little something too. How do you describe yourself? Are you a total Harry Potter nerd or science nerd? Do you nerd out over obscure LEGO sets or obscure cooking spices? To me, being a nerd for something means loving that thing wholeheartedly and unapologeticly. It may be an activity that you are good at, or it may just be a cultural event that you know everything about. Personally, I have wide variety of interests, am not especially fantastically skilled at any of them and can’t just focus on loving just ONE topic. But there is one thing that all the topics that I truly love have in common: They are all a little bit magical and a little bit larger than life. My name is Amy and I am a things-that-are-magical nerd. Obviously, I realize this needs to be explained. But, as with anything that you truly love, WHY I love these things is difficult to put into words. Nerding out over these things makes me feel a little vulnerable and open. Explaining why seemingly silly things like this mean so much to me means I’m giving you permission to judge me for my interests. But as is true with anything you truly are a nerd of – I don’t care. I love things that are a little bit larger than life – there’s no point in pretending I don’t just for appearances.. I love adding a little bit of magic to my life with these handful of things that I love devotedly. I don’t remember when I was first introduced to Jim Henson’s Muppets, but I have loved them as long as I can remember. One of my dream jobs is to be the curator of the Jim Henson archive. I own basically every book about the Muppets that I’ve ever seen. I could write a book about them. In fact, I did write a grad-school paper about how form follows function when designing the Muppets. I was only 8 when Jim Henson died and I was am still heart-broken. I love that Kermit and Fozzie and the gang are taken so seriously by the puppeteers and film-makers. I love that there are RULES and a whole culture behind the Muppets. Like the fact that chickens and penguins don’t speak English. Or example: For various movie and promotional interviews, the Muppets give interviews as actors would. Like Kermit complaining he only has one line or discussing the private relationship between Kermit and Miss Piggy that sometimes shows up in the movies. Another example: They never directly refer to the fact that they are puppets. They may subtly refer to facts that the audience already knows – like how Jim Henson is “always there” for them – but they would never discuss being made out of felt. I love that Jim Henson changed the entertainment industry. Prior to the 60s, who would have ever thought that a group of puppets would be such a beloved part of the culture for both adults and children. Jim Henson had an unparalleled imagination, view on the world and corresponding work ethic to really give the world some amazing creations. His vision and his faith in other performers – like teenagers Kevin Clash or Frank Oz – changed their lives. His willingness to try new things, break boundaries and pioneer should inspire any creative person in their own work. If I am ever in the mood for a good cry (as soon as I finished writing this post for example), I go watch footage from Jim Henson’s funeral and memorial. This one and this one and this one for starters.. Good lord – talk about larger than life. Again – I have loved musicals as long as I can remember. When I was a kid – elementary school and junior high specifically – my parents would take me down to the local video store where I could pick out a VHS tape of a couple old musicals to rent for the weekend. OLD movies like Seven Brides for Seven Brothers, or Funny Girl (a repeat favorite). Musicals are all magic, to me. Huge groups of teenage boys in a choreographed dance? Magic. Witches singing duets about their friendship? Magic. Latin dance + rap + NYC? Magic. What if life were more like theater? MAGIC. I did theater in high school (four straight plays and 4 musicals), and then moved on to community theater for a few years. In fact, the girl I understudied in high school is a legit Broadway actress. I’ve collected musical soundtracks ever since my first CD purchase and now that I’m a grown-up I get things like theater tickets for my birthday. If I’m ever feeling down, I just pull out my TO SING playlist on my iPod packed full of fantastic female solos and duets from the musicals that I love most. In my next life I’d like to be a Broadway performer or even composer. The magical and larger than life quality of Broadway musicals is a constant source of joy in my life. History? Yea, I hear the skepticism in your voice. But think of this – the American Revolution CHANGED THE WORLD. How is that not a little bit magical? The brand new United States set the example for other colonies to revolt. Think of South America as European colonies still. The unparalleled genius of a few men (Hamilton, Jefferson, Madison and all) literally helped create the world we all live in – whether you are an American or not. Just one example: Alexander Hamilton was only 35 or so when he took office as the first Secretary of the Treasury during Washington’s first presidential term. Hamilton’s financial theory and practice during this term unquestionably aided the United States in centralizing power in the federal government and so also aided the U.S. in becoming a world power (influencing everything from the French Revolution to the WWII Allied victory and defeat of Hitler to the invasion of Iraq). I currently am putting myself through a self-paced American History class – which basically means I am reading every American History book I can get my hands on. From 1491 by Charles C. Mann through to present time. I currently am only as far as approximately President Andrew Jackson (with some gaps to go back and fill). I have a favorite President (John Quincy Adams so far) and have plans of long road trips all around Boston, Pennsylvania and Virginia to hit up the historical sites. I am learning so much about not only the cultural history of an English colony developing into today’s consumerist society, but also about the Constitution and the Founding Fathers’ actual intentions, the private lives behind the public personas, and the incredible accomplishments of these people. All that to say – reading about American History fills that obsession I have with learning new things, but also introduces me to truly remarkable geniuses. Mostly men, so far, but soon I’ll get to the women’s suffrage movement and the 20th century and all the brilliant minds involved in forming our country. The people and events in my nation’s history are truly larger than life and a little bit magical. Other things-that-are-magical Honorable Mentions: Filmmaking in general and Peter Jackson specifically. Harry Potter. Cooking. Anne Shirley. California. In fact, every Friday I post a little seed of inspiration – a blog post focusing on something I’ve found recently that has it’s own brand of magic and inspires me to be braver and larger than life in my own life. On top of these 3 main things (and others), I always have my eyes open for adding a bit of magic to my life when I can. IDEA 1: To add a little magic to a meal, add a little bit of mulit-colored sprinkles. To anything. Ice cream, yes of course. But what about yogurt in the morning or fruit salad at lunch. IDEA 2: Learning a couple tap steps. I took a tap dance class for my ‘physical education’ credit in college and from that entire semester I know 2 tap steps and I tend to do them when I am standing around waiting for something (like the microwave). IDEA 3 (the biggest): Don’t apologize for what you love. A couple months ago, I had a short Twitter conversation with @danihampton about the fact that we love the TV show Glee BECAUSE it’s cheesy. Surrender to the ridiculousness and you may love it all that much more. So the same with the things you love. Don’t apologize – embrace it. My co-workers tease me for always having a book with some white dead guy on the front (ahem, early American History). What are some ways you like to add a little magic to your life? Amy T Schubert blogs tips and inspiration for creatives on Lemon and Raspberry. She also blogs about her home life and travels at Those Crazy Schuberts. 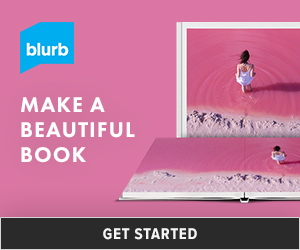 Make your summer a little bit magical and a little bit larger than life – and then be sure to check out her new eResource Summer Lovin’ (had me a blast) for ideas on journaling and recording your summer. For more from Lemon and Raspberry, follow Amy on Twitter or subscribe to the L&R Newsletter. 7 Brides for 7 Brothers is my favorite musical! You inspired me to put it on while scrapbooking this morning. I love 7 Brides for 7 Brothers too. Musicals were always playing in my house when I was a kid (my grandma LOVED them). I thought that was normal: kids watch musicals and Disney movies…until I grew up and realized that not many people have ever even seen 7 Brides for 7 Brothers, Newsies, Oliver, Shirley Temple movies, or My Fair Lady. They’re such a big part of my childhood that it’s weird to me that it’s not just a widespread cultural phenomenon. that’s so funny – 7 brides is one of my LEAST favorite musicals. But there was a rumor we were going to do it at my high school so I had to watch it, of course. I have a friend who works with Jr High kids at church, and once a year she has a sleepover and introduces all those 12 year old girls to Newsies SO fun! I do remember loving the barn raising scene. It makes me want to go to one (even though I’m pretty sure that’s not still a thing). Newsies has always been my favorite, though. We just watched it yesterday, in fact. I’m really hoping we can afford an eventual trip to New York while it’s still on Broadway. My favorites as an adult have been Rent (the Broadway show, not the movie) Chicago, and Sweeney Todd (the movie: I have no experience with the stage version, other than the bits in Jersey Girl). Those are night and day thematically compared to the musicals I loved as a child! It’s like the precursor to “I like big butts.” LOL! I think that 1 reason I like 7BF7B so much is because it’s so sexist. I laugh and laugh because it seems so ridiculous. I always try to make my friends watch it and they are shocked at the sexism. My other favorite musicals are Moulin Rouge and On the Town. I’ll have to check out Newsies.. Seven Brides for Seven Brothers and Funny Girl are both on my (long) list of favorite musicals! I have yet to see a musical I didn’t like, honestly. Also, yes, rainbow sprinkles go on everything. I want them to be tossed at my wedding.